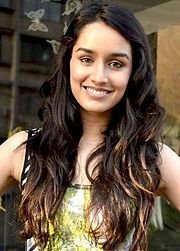 Shraddha Kapoor who has been on a rigorous shooting schedule for her next film Saaho along with the Bahubali actor Prabhas, injured her ankle due to over exertion. The actress is also simultaneously prepping up for the Saina Nehwal biopic besides shooting for Saaho in Hyderabad. Shraddha recently uploaded a picture of her sprained foot on her social media handle. The long shooting hours took a toll on her health along with long sets of cardio over her regular gym regime.